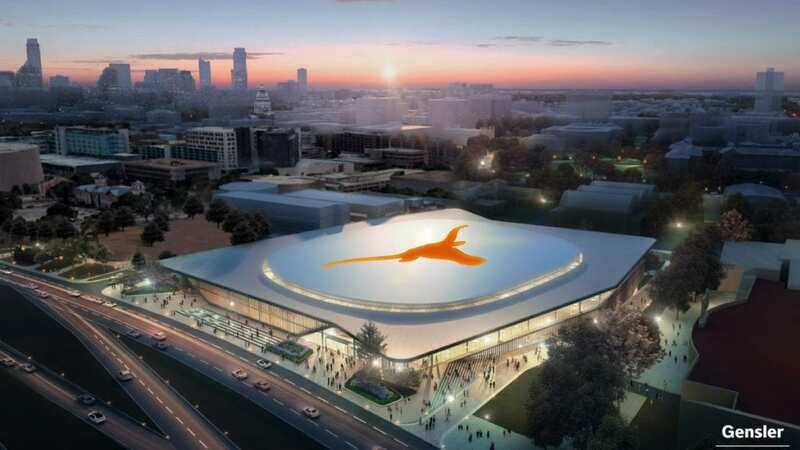 The University of Texas announced a new basketball — and more — arena slated to open in 2021 (Photo courtesy of The University of Texas). AUSTIN, Texas — The time is more than alright for ‘Horns hoops to have a new home. 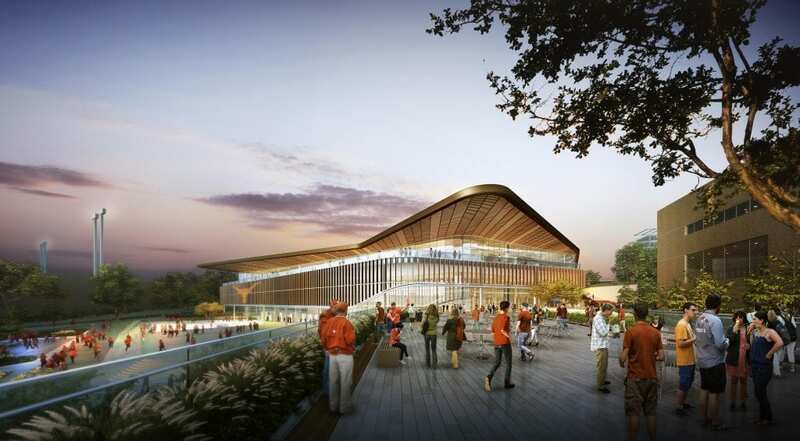 In a groundbreaking agreement announced Thursday afternoon by The University of Texas, the Longhorns are building a state-of-the-art new basketball (and more) arena right on the Forty Acres known as the UT campus. Slated to open in 2021, a group led by the Oak View Group (OVG) will build a world-class arena on campus that will be home to Texas Men’s and Women’s basketball games, graduations, concerts and other events. 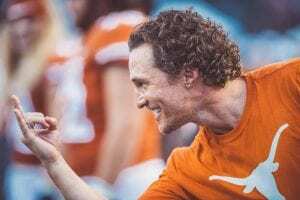 Texas’ own Academy Award-winning and renowned ‘Horns fan Matthew McConaughey is a part of the project — and will garner the title “Minister of Culture” at the venue (you read that right). The UT System Board of Regents on Thursday authorized UT Austin to complete negotiations and enter into agreement with OVG and its partners. “It’s time to raise the bar. 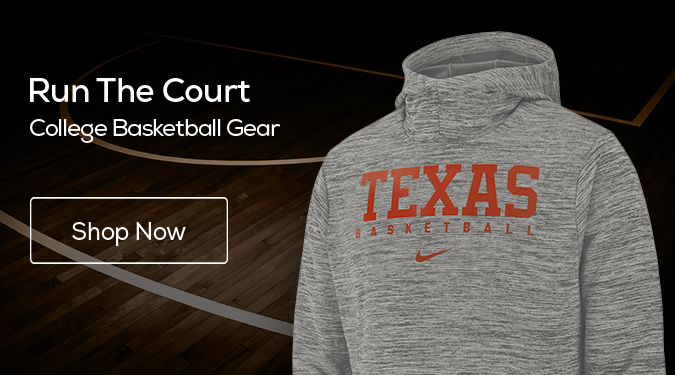 It’s time to excel, on the court and in the stands,” said McConaughey in a release from UT. Along with the 1993 UT Austin graduate McConaughey, the 35-year agreement between UT and ArenaCo — which includes C3 Presents, Live Nation as well as OVG and the more than ‘alright, alright, alright, man himself — is expected to cost taxpayers a grand total of nothing. On the heels of UT’s announcement this past fall for expansions and improvements of DKR-Texas Memorial Stadium, UT Vice President and Athletics Director Chris Del Conte is becoming quite a star around Austin. Revisit UT's historic announcement for the $175M expansion slated to come to DKR. If nobody has suggested a name yet, how about the Del Conte Dome? 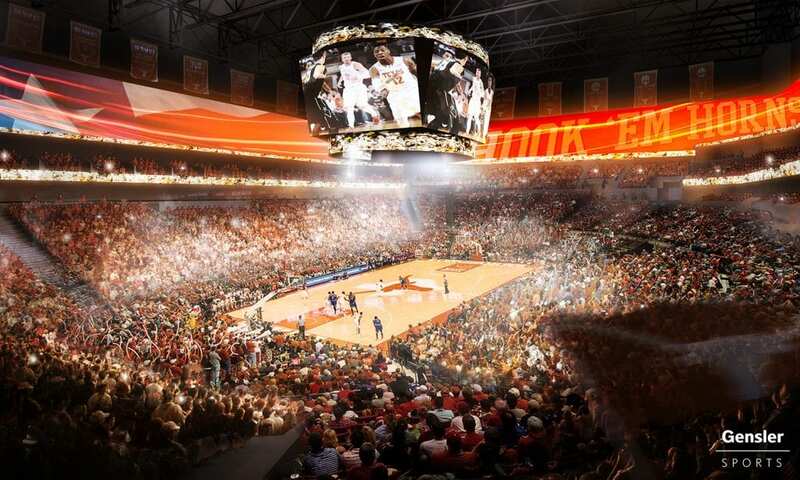 Schematic drawing of the new arena (Image courtesy of The University of Texas). As stadiums across the country cost cities millions upon billions of dollars, this unique and groundbreaking agreement for the $338 million venue will be constructed on land fully owned by UT without using any university or public money. For those ready to replace the outdated Erwin Center, known fondly or not-so-fondly as The Drum, the brand new arena will be constructed on the current parking lot south of Mike A. Myers Stadium. See some of OVG's current facilities and partners. Along with the announcement of the new digs, UT also said that the Erwin Center is now slated for eventual demolition. The 41-year-old Frank C. Erwin Center’s fall will give rise to a future expansion of the Dell Medical School, and UT may be responsible for certain infrastructure improvements near the site to make it ready for construction. The new stadium is slated for construction just south of Mike A. Myers Stadium on the UT campus (Image courtesy of The University of Texas). According to Texas, the 10,000-seat arena will feature student seating surrounding the court and will also be utilized location for university, campus, community and high school events. Additionally, the new arena is designed to expand to 15,000 seats and will provide a world-class venue for touring concerts and shows.